Two weeks ago, the 2019 Armed Forces Championships came and went with Army earning its 18th consecutive title. It is a major piece of business that, for the time being, is taken off the table. 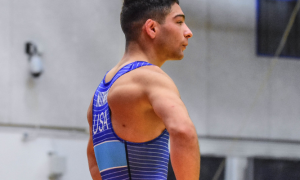 With Armed Forces now out of the way, Army/WCAP will resume focusing on the US Open and World Team Trials set for later on the spring. But there are still a couple of Armed Forces highlights to get to, and Army assistant coach Spenser Mango addresses them in order. 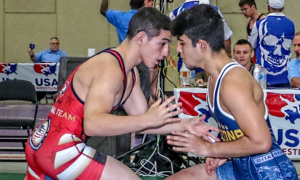 First is the deciding dual against the Marines, which saw WCAP’s first four athletes all come away with bonus point victories. 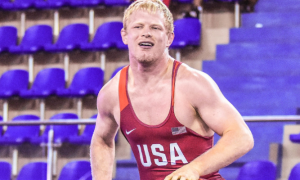 Two of the wrestlers, Max Nowry (55 kg) and Ellis Coleman (67 kg), made their season debuts in the process, and Mango provides an update on their respective health statuses following the event. 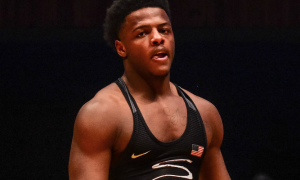 Rising prospect Isaac Dukes (72 kg) is also brought up, and then Mango closes out by revealing what is in his estimation the one area Army needs to improve on the most at the current moment. 5PM: Was there anything that surprised you about how Armed Forces unfolded, particularly the dual with the Marines? Coach Spenser Mango: Yes, I thought we would win, I didn’t think it would be in such a dominant fashion. 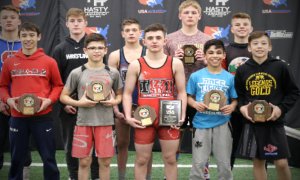 Every one of our wins was by a pin or tech fall. That was impressive to me, that the guys came out and wrestled their hearts out. We had three losses and they were all close matches that could have gone either way. But the wins were what really caught my eye, especially given how dominant they were. 5PM: Two of your main guys had returned for the first time in several months, Max and Ellis. 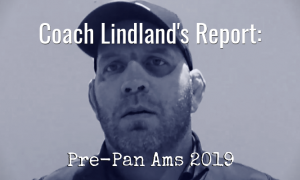 Results aside, they both went 3-0, but were they able to bounce back afterwards and resume practicing? SM: Oh, yeah. Max, he’s still recovering from his surgery. He’s not quite at 100% but he’s doing well. Ellis, he is firing on all cylinders and is ready to go. 5PM: Speaking of Ellis, he went over to Germany to train. Are there any plans for other WCAP guys to do something extracurricular ahead of the Pan Ams and/or Open? SM: No, right now we don’t have any plans to do something else. We’re just trying to stay focused on the Nationals, train with each other, and get everyone on the team to be their best selves. 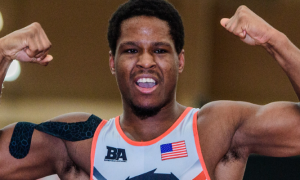 5PM: Is Isaac Dukes going to compete in Greco come April? SM: Yes he will. He’ll be there in April. He definitely has some tools. Isaac is still a little green, but he is making what I think is excellent progress. He is flying under the radar and you don’t hear his name much, but I think he is going to have some big wins. 5PM: If you had to pick one, what is the main area you feel your guys need to improve on the most in this space of time before the spring? Coach Spenser Mango: I think just match strategy. We had some guys give up points in the Armed Forces and they kind of got in situations that they really didn’t need to be in. I’m all for going for it and letting it slide, but at the same time, we’re looking to win. So, match strategy, putting yourself in positions where only you can score. Not only holding a lead, but staying in good positions where you have a lead and not losing positions and giving up unnecessary points.